2018 marks the 50th anniversary of the Texas Heritage Trail Regions, and the Texas Historical Commission is celebrating by offering a travel getaway in all 10 regions! Why take a daytrip when you can stay an #ExtraDayInTx? 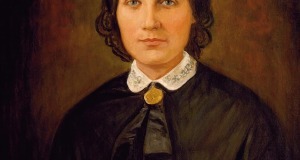 We’re kicking things off with a revolutionary trip from the Texas Independence Trail Region. Enter the sweepstakes by March 31 for your chance to win lodging, tours, and meals for two in and around historic Goliad! The winner will be randomly selected and announced in early April. If you don’t win this time, be sure to enter each month, as there will be nine more chances to win this year. The next two prize packages will be trips in the Brazos and Mountain Trail Regions. 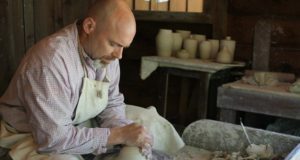 Learn more and enter at ExtraDayInTexas.com. 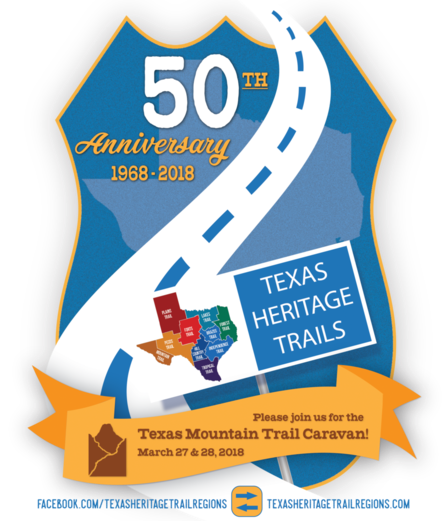 The golden anniversary of the Texas Heritage Trail Regions is also being celebrated next week with the historic Texas Mountain Trail Caravan. The Trails program was launched in 1968 with a two-day dedication caravan that toured the length of the original Mountain Trail in Far West Texas. The regions are recreating that event with a commemorative caravan on March 27–28, featuring stops in Alpine, Lajitas, Fort Leaton, Marfa, Van Horn, El Paso, Guadalupe Mountains National Park, Fort Davis, and the Davis Mountains State Park. Check out the itinerary and contact the Texas Mountain Trail Region by email to RSVP and join the caravan! 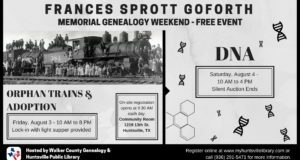 Information and graphics provided by Texas Historical Commission.